What to Look for at your local Cigar Shop In Canada? If you are a cigar smoker and happen to visit Canada, you must visit the local cigar shops in our country. This is because you not only get the top brands but are also guided by their helpful staff in all matters concerning cigars. Did you know that in Ontario Canada we have some decades old cigar shops? Offering premium cigars that are not found with many other tobacconists. You may not only find the famous Cuban cigars, but an excellent selection of Dominican, European, Honduran and Nicaraguan cigars too. 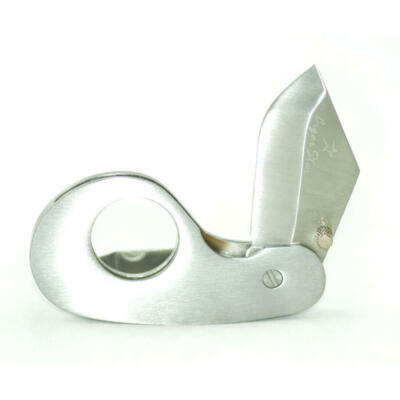 In addition, the cigar shops in Canada also offer cigar accessories, such as Canadian humidors “Cigar Star” top quality lighters, cutters, leather cigar holders and much more. One sure shot way to find out the condition of the cigars in a cigar shop is the presence or absence of a walk-in humidor. 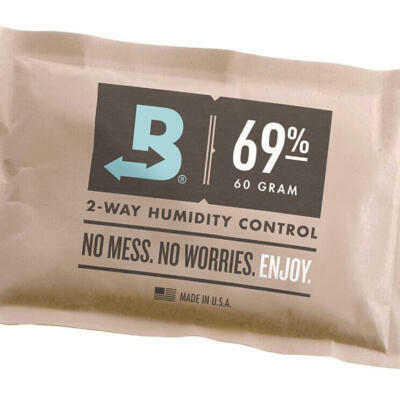 A humidor maintains the moisture level that prevents the cigars getting too dry or too damp. It is advisable not to buy cigars from a shop that doesn’t have a walk-in humidor, since you will not get cigars in perfect condition. 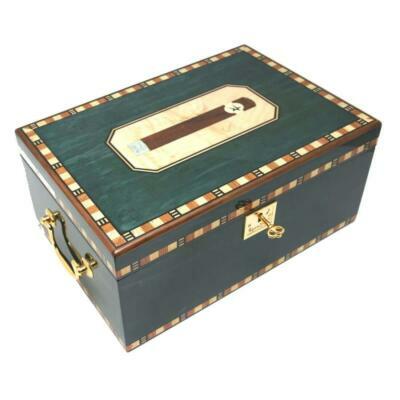 There are two kinds of humidors – walk-in humidor and cabinet humidor. 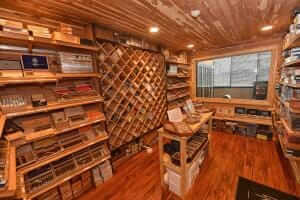 In a walk-in humidor, the whole room is turned into a humidor. 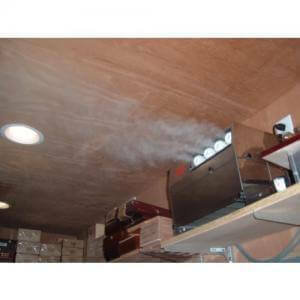 It is installed with a humidifier that maintains the relative humidity in the room. However, some shops keep their cigars in separate cabinets with cabinet humidors. 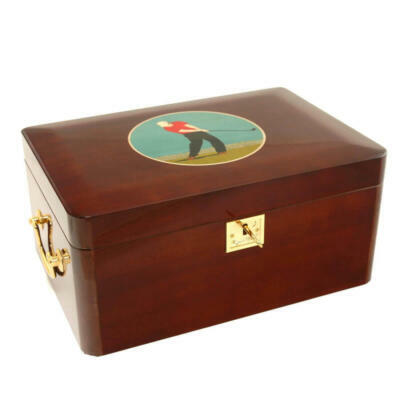 Where a walk-in humidor is more effective in maintaining proper humidity, than individual cabinet humidors.Walk-in humidors are regarded far superior than the cabinet ones. Look for a shape that you feel comfortable with while smoking. A perfect cigar will have a lustre or sheen on the surface and will be firm to touch. Test the cigar’s flavor by removing the outer wrapping (of course, with the permission of the tobacconist), putting it under your nose and inhaling deeply. If the smell is pleasant, then it is more likely that its taste will also be appealing. Look at the wrapper, that is the outermost leaf cover. Don’t go in for cigars that are so dry as to crumble when handled. Avoid damp cigars that grow soft due to excessive moisture. Cigar shops in Canada are not only famous for premium Cuban cigars, but for the aforementioned cigar accessories too. 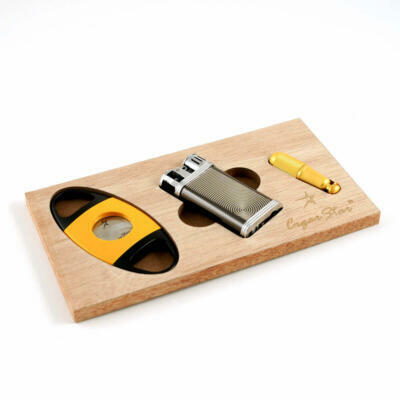 A true tobacconist will only keep the top notch branded accessories, such as Cigar Star, Colibri, Xikar and the like. Cheap stuff is the hallmark of fake tobacconists. Cigar shops in Canada certainly offer some of the best brands of cigars. They are well cared for and provide an excellent smoke. If you adhere to the tips of evaluating cigars, you will not go wrong in choosing the right ones.